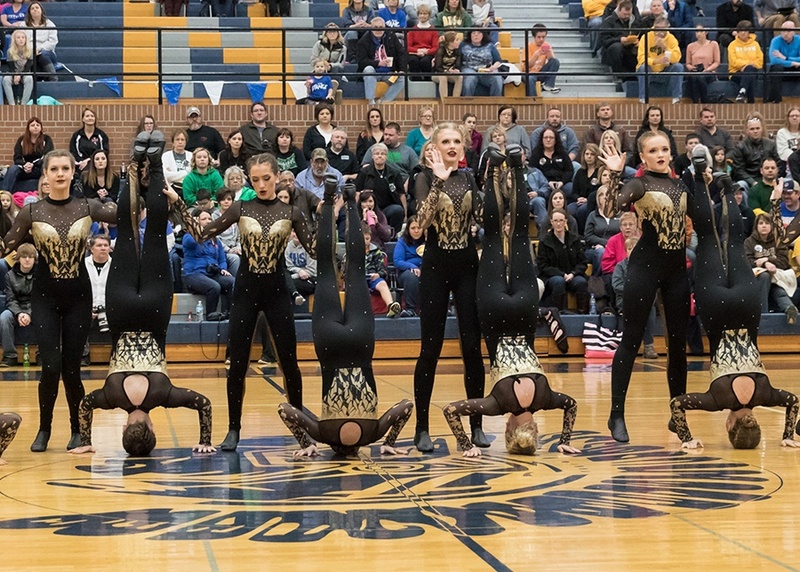 Fargo South's dance team has a lot to be proud of despite it's young age. The team has worked hard to rebuild and grow their program, after the Fargo schools split and left their program practically stamped out. So it's fitting that this year's custom High Kick costume is a reflection of the team itself! 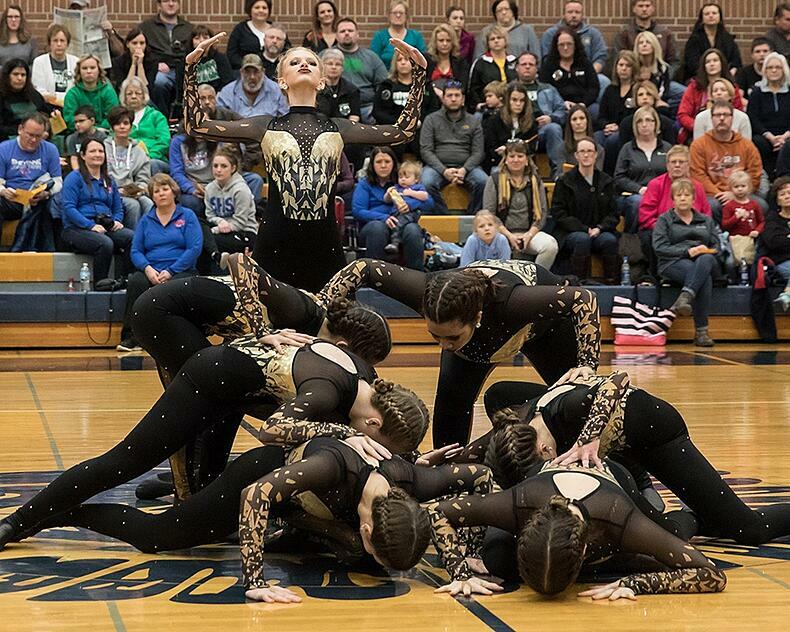 "They are a team that is fierce and strong, and I needed something that portrayed that," said Coach Mariah Tweeton. "Our song and our theme this year is "Ready or Not," Tweeton explained further. 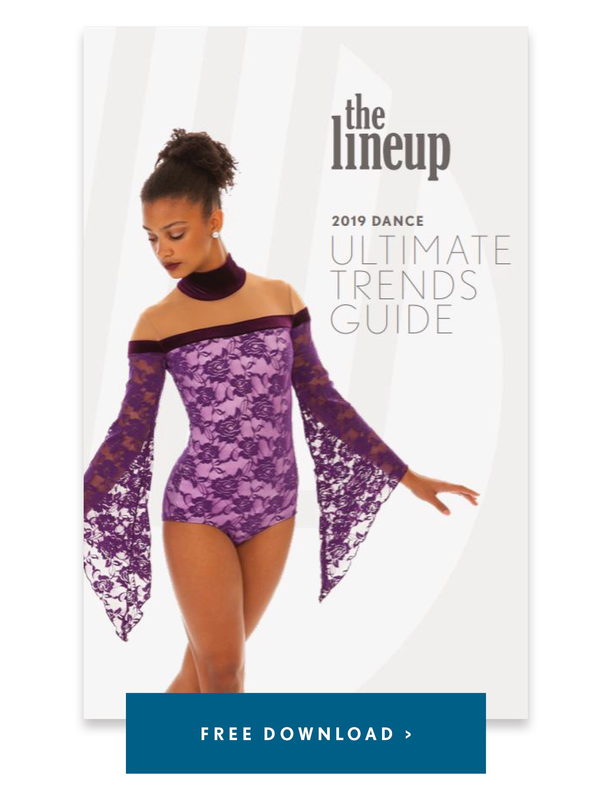 "We are basically trying to tell our story through this season's theme and through this dance. It's our turn to show everyone who we are as a team, and what we are made of. -- Ready or not, here they come, you can't hide." 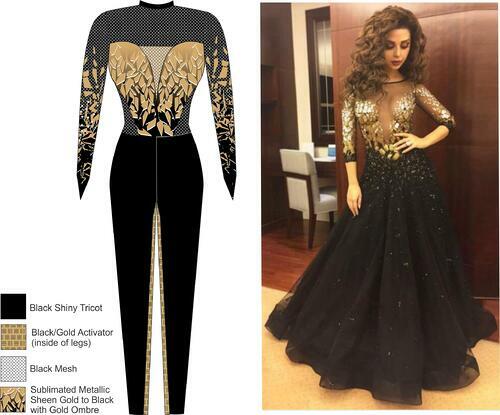 Inspiration for the custom dance costume was found in a striking black and gold couture dress, featuring a gold shattered glass pattern on the bodice and arms. To achieve a similar look, a bold black and gold broken ice pattern was custom printed with sublimation onto a fabric with a metallic sheen. The resulting sharp lines combined with luxurious metallics created a unique look true to the theme: bold and fierce! Congratulations on your continued strength and endurance, Bruinkix! We look forward to watching your program grow! More Q&A with Coach Tweeton below! Design illustration for the custom high kick dance costume(left), and inspiration photo (right). What makes your team unique? I think what makes our team so unique is that we are fairly "new" in a sense. 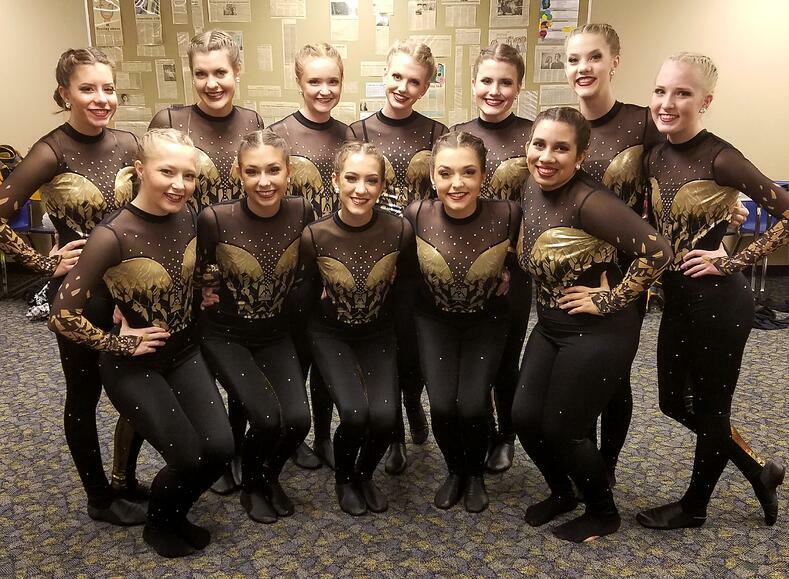 A few years back the Fargo high schools split up leaving Fargo South's dance team practically nonexistent, after years of it being consistently ranked at the top of the state. We are still in a rebuilding phase for our team but there is so much talent on the team, you wouldn't be able to tell that it is a young team. This year we have our first seniors since the schools split and we are really just celebrating them for sticking through with our team and through this growth process. How many routines do you have for the season? We have three routines this season! Pom, hip-hip, and kick! What is your team's favorite song to perform? Their favorite is definitely hip-hop or kick. The routines are completely opposite of each other too which makes it fun. Hip-hop is SO energetic and fun, while kick is dark and fierce. I get to see two completely different sides of my team and it is so cool to see. What is your favorite fan memory? It is my first year coaching the high school team, but I was their middle school coach prior to this year. I think my favorite fan memory is homecoming this year. 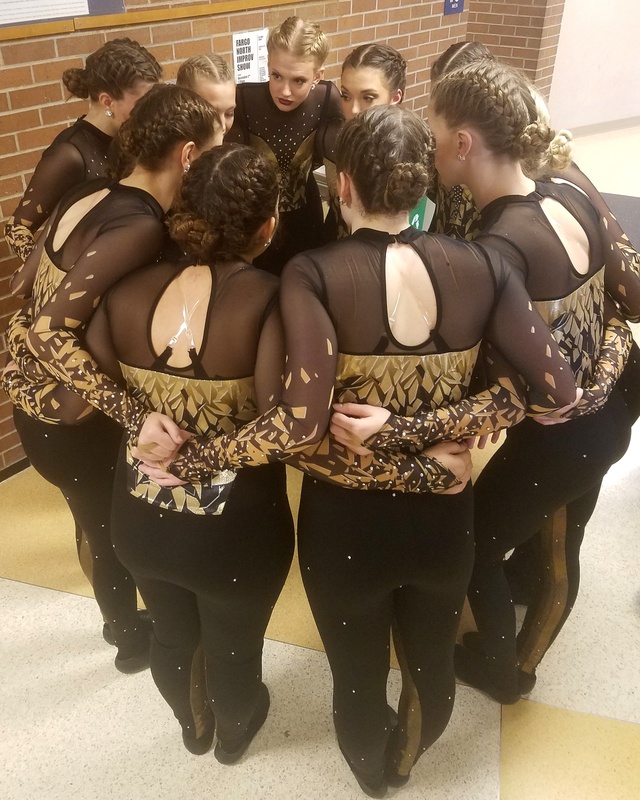 Since the split in schools, the dance team hasn't gotten the attention or support that they used to. This year at homecoming pepfest and the game they performed their hip hop routine and the crowd went CRAZY for them! It was so awesome to see all their hard work pay off and see the support they should be getting all the time. They walked off the floor confident and proud and that's all I could ever ask for as a coach! What are you most excited for this season?! I'm so excited to just keep pushing this team to their fullest potential. They are willing to try new things and have this insane drive and motivation to do better at whatever they are doing. With that sort of mindset, I believe they can accomplish whatever they have their sights set on.